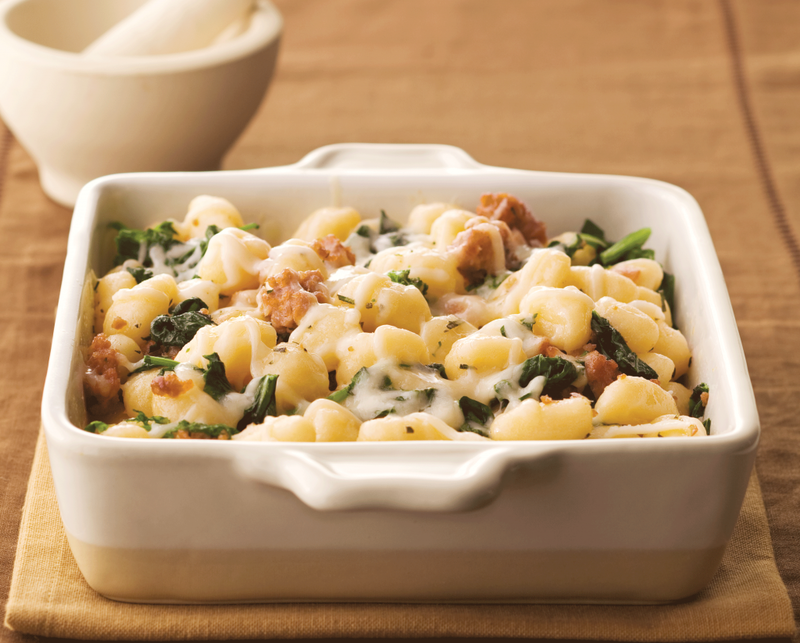 The zest in the Italian sausage, fresh taste of the rapini and creamy melted mozzarella cheese form the perfect combination in this pasta dish. It is sure to be loved by everyone and will regular in the family meal rotation. Boil the gnocchi according to package directions. Gnocchi will float. Remove gnocchi to drain with slotted spoon. Blanch rappini in water for 3 minutes and drain. While cooking gnocchi, cook the sausage in the olive oil in a large sauté pan on medium heat until cooked through and caramelized, about 8 minutes. Add the garlic and rosemary and cook for 30 seconds and then add rappini and cook for 2 minutes more. Add the gnocchi and basil and toss to coat. Top with mozzarella and bake for 10 minutes to allow the cheese to melt. 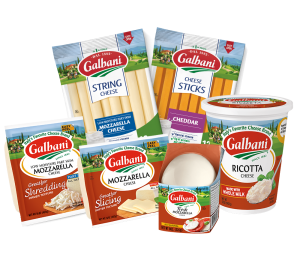 Instead of Italian sausage substitute in a different protein. Add grilled chicken, salmon or shrimp; depending on what you like.